If you enjoy a soft comfort, the PerfectDreamer iDealist Euro Top Gel 15 is one of the best values found on our site. The coil system, comfort layers, and quilt all contain nice features typically reserved for mattresses much higher in price. With a Comfort Scale rating of 7, this is a good choice for side sleepers or back sleepers who enjoy a soft, enveloping initial feel with solid underlying support. 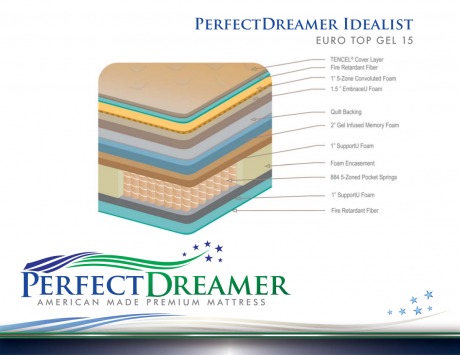 From the quilt to the coil system, the iDealist Euro Top Gel 15 offers some great features for the price. TENCEL fibers used in the quilt help regulate body heat to promote a temperature neutral sleep environment. 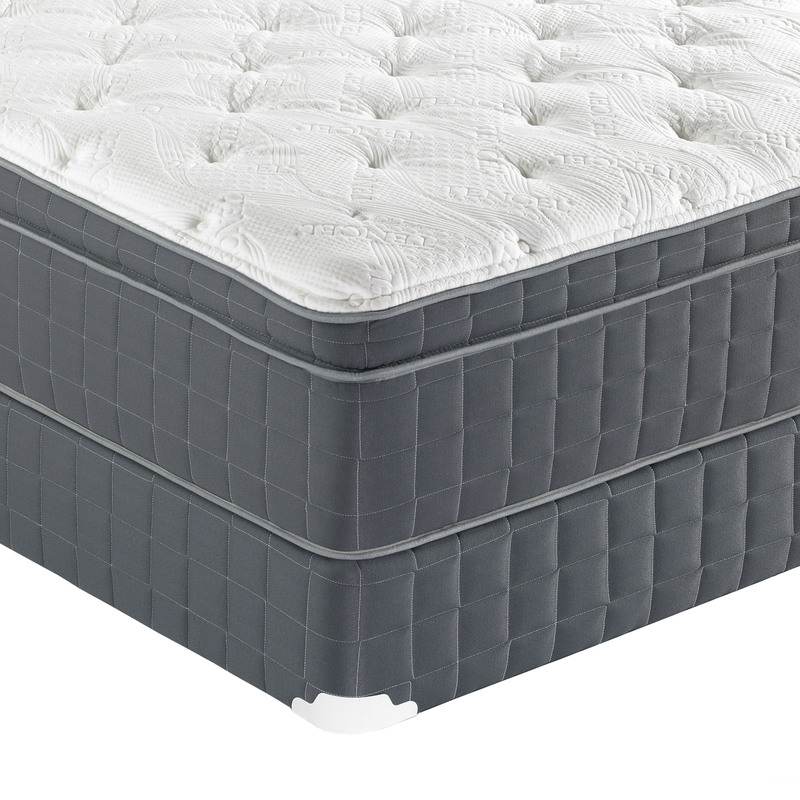 Key comfort padding layers include a layer of 5-Zone Convoluted Quilt Foam that targets the hips and shoulders with better pressure relief, and a generous two-inch layer of Gel Infused Memory Foam. Gel Infused Memory Foam offers all the pressure reduction benefits of memory foam to help reduce tossing and turning, promotes good blood circulation, and helps you achieve deep REM sleep. This comfort layer is also one of the most durable used in bedding today, so the mattress will retain its showroom feel for a long time. Back support is forgiving, yet supportive, thanks to the 5-Zone Pocketed Innerspring System. In this system, each coil performs independently to contour to the curves of your body, providing solid overall support and helping to reduce motion transfer between couples. It is also adjustable base friendly. Overall, if you enjoy a soft feel and are looking to keep your cost relatively low, this mattress is an outstanding choice. 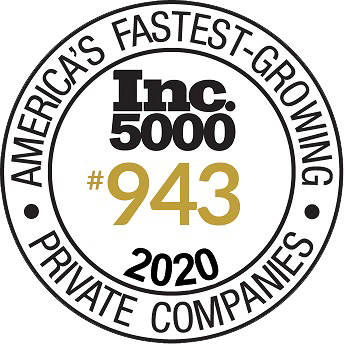 It is well-made and comes backed by a 10-year non-prorated warranty.